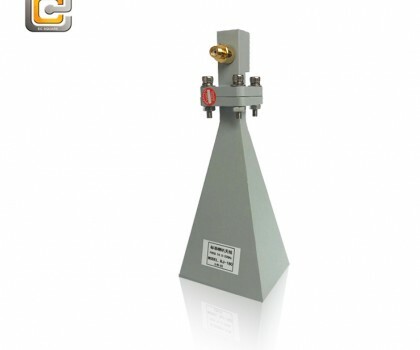 Standard gain horn antenna OLB-51-10 WR-51 is also known as a waveguide horn. 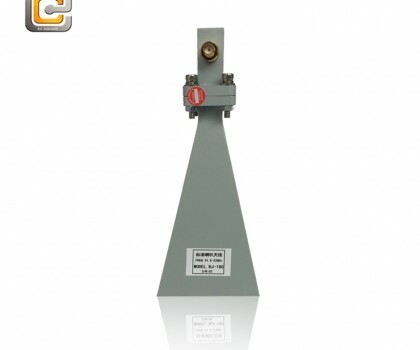 This WR-51 standard gain horn antenna has a 10 dB nominal gain and a square cover flange. 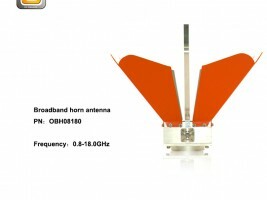 Our 10 dB WR-51 horn antenna has a minimum frequency of 15.0 GHz and a maximum frequency of 22.0 GHz. 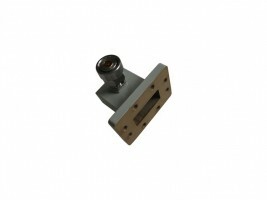 Standard gain horn waveguide antenna OLB-51-10 has a vertical beam width of 54.4 and horizontal of 54.2 degrees at 3 dB. 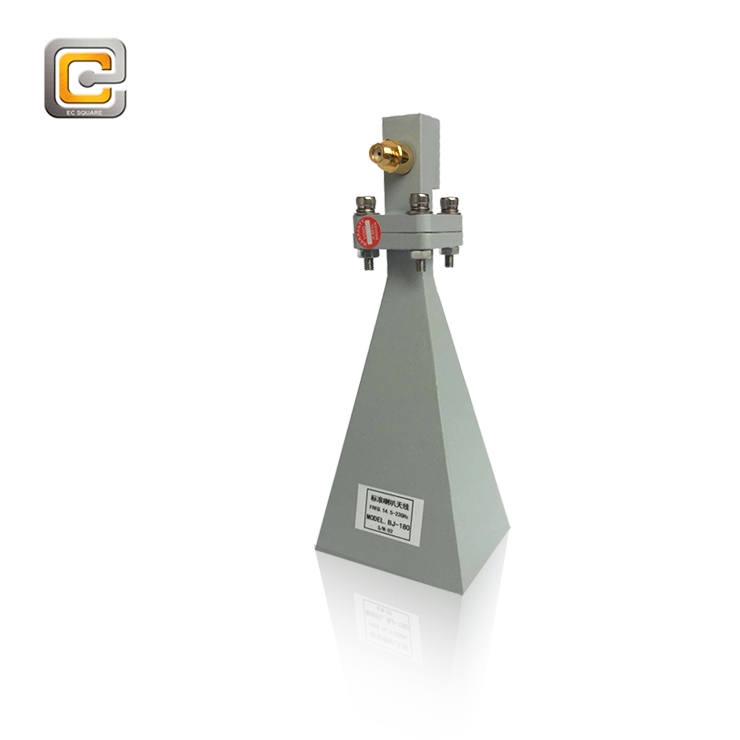 Standard gain horn antenna OLB-51-15 WR-51 is also known as a waveguide horn. 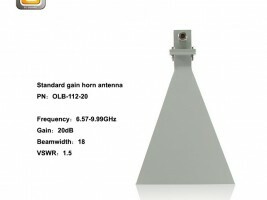 This WR-51 standard gain horn antenna has a 15 dB nominal gain and a square cover flange. 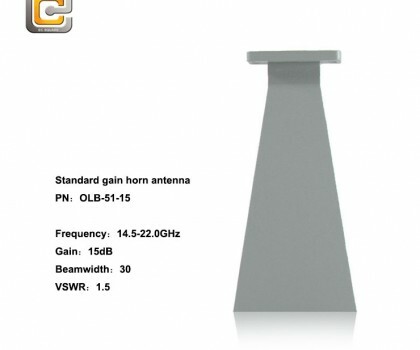 Our 15 dB WR-51 horn antenna has a minimum frequency of 15.0 GHz and a maximum frequency of 22.0GHz. 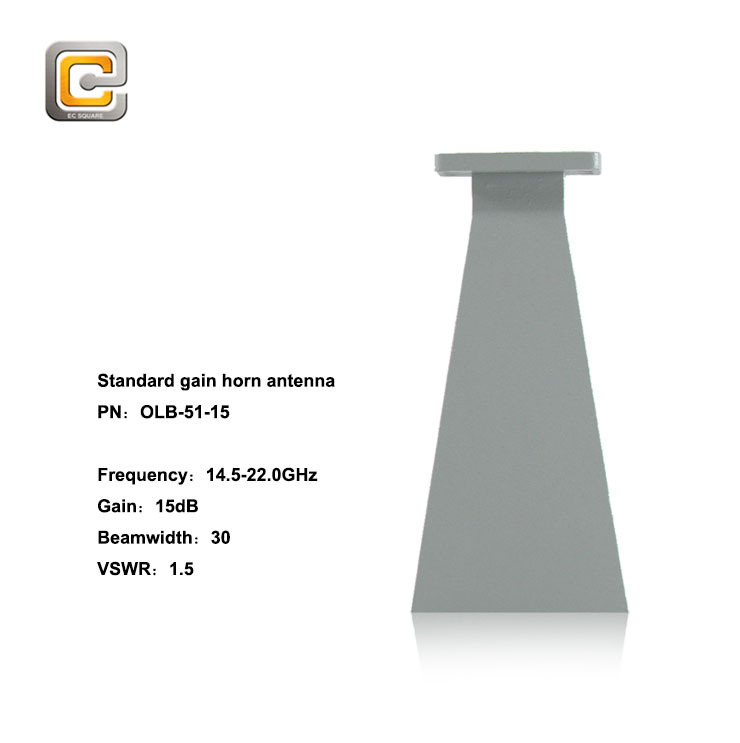 Standard gain horn waveguide antenna OLB-51-15 has a vertical beam width of 31.3 and horizontal of 32.1degrees at 3 dB. 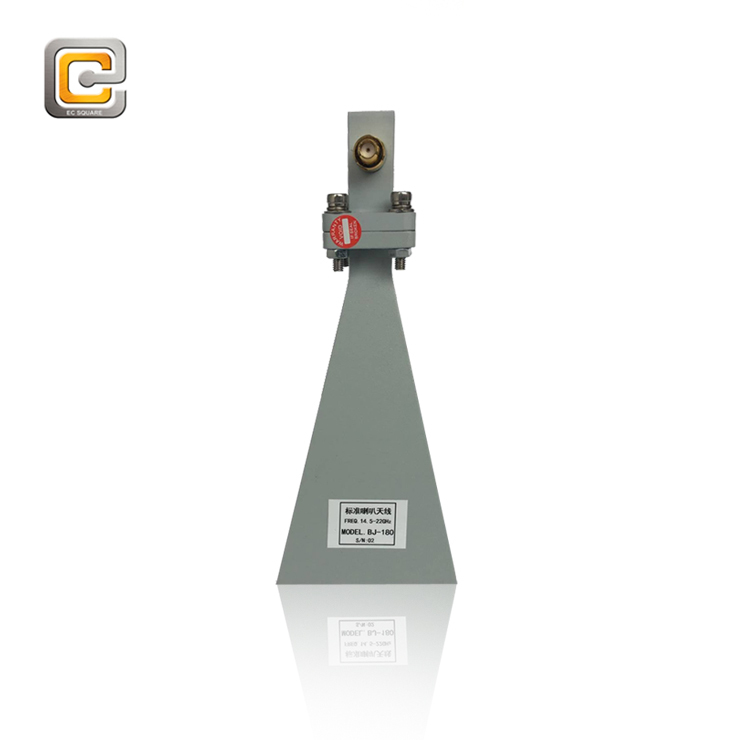 Standard gain horn antenna OLB-51-20 WR-51 is also known as a waveguide horn. 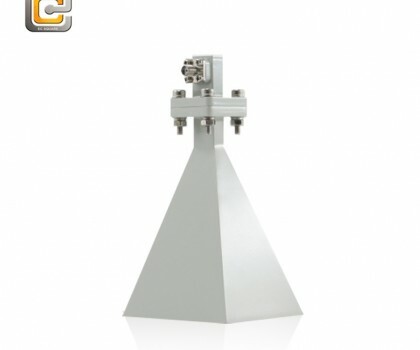 This WR-51 standard gain horn antenna has a 20 dB nominal gain and a square cover flange. 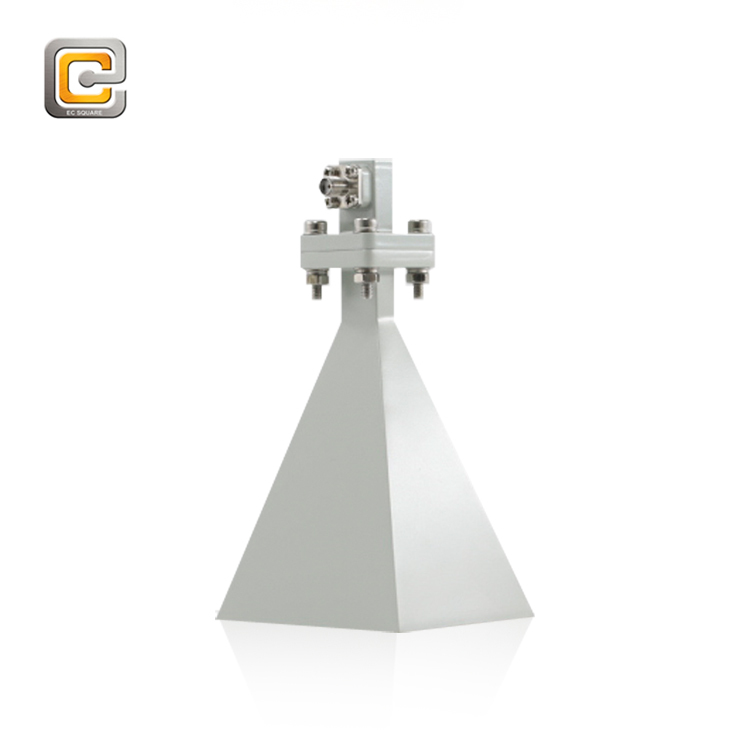 Our 20 dB WR-51 horn antenna has a minimum frequency of 15.0 GHz and a maximum frequency of 22.0GHz. 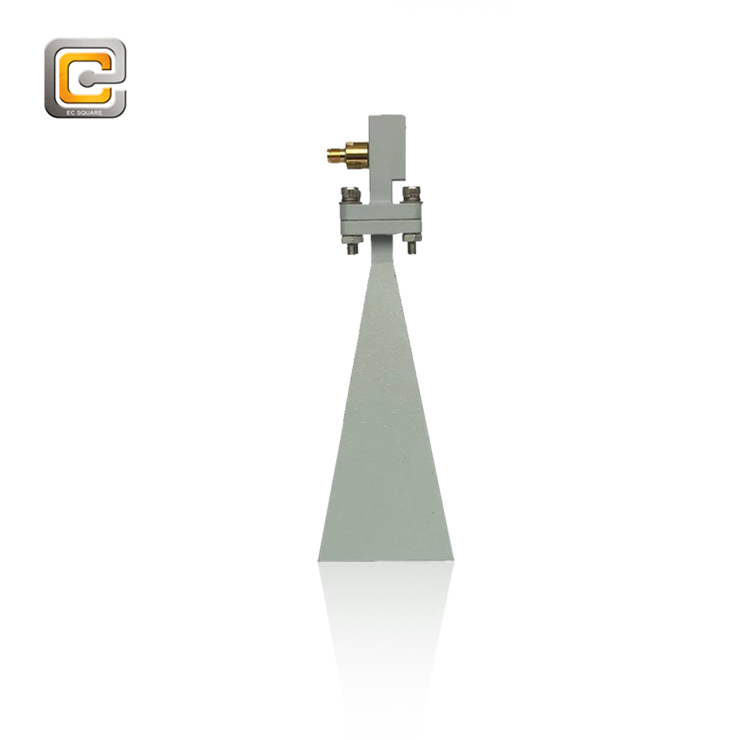 Standard gain horn waveguide antenna OLB-51-20 has a vertical beam width of 18.3 and horizontal of 16.7 degrees at 3 dB. 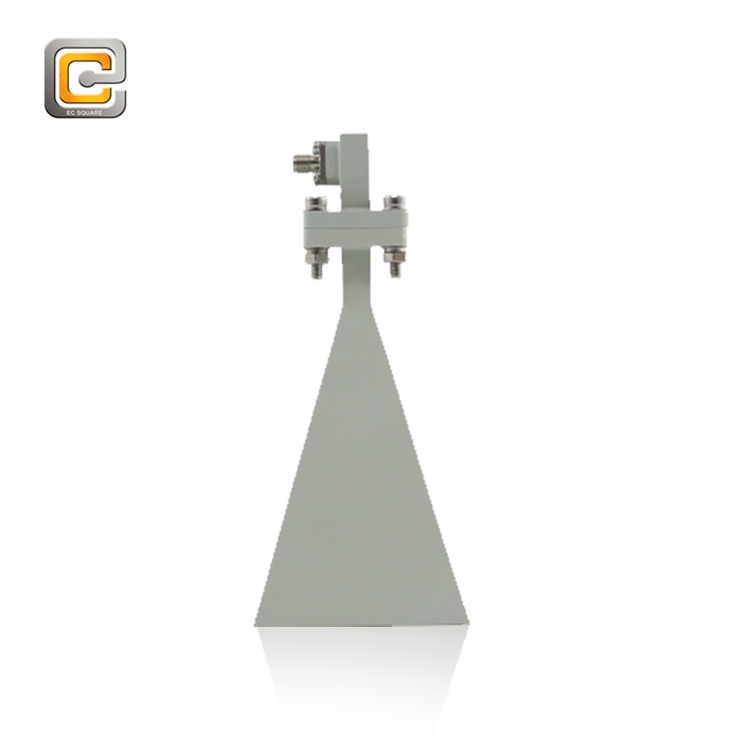 Standard gain horn antenna OLB-51-25 WR-51 is also known as a waveguide horn. 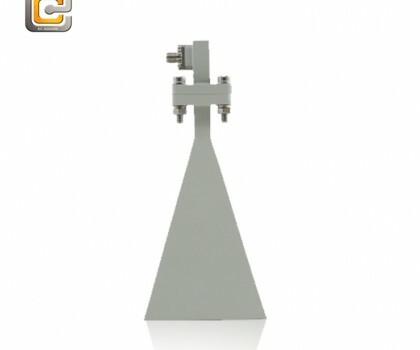 This WR-51 standard gain horn antenna has a 25 dB nominal gain and a square cover flange. 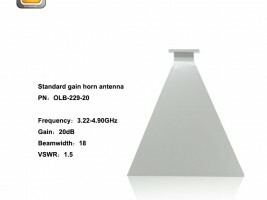 Our 25 dB WR-51 horn antenna has a minimum frequency of 15.0 GHz and a maximum frequency of 22.0GHz. 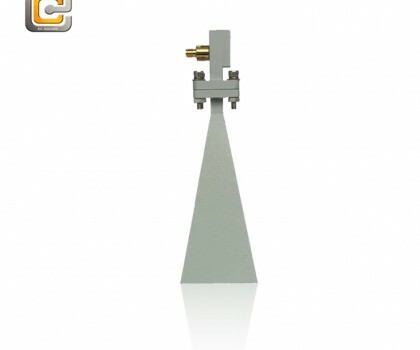 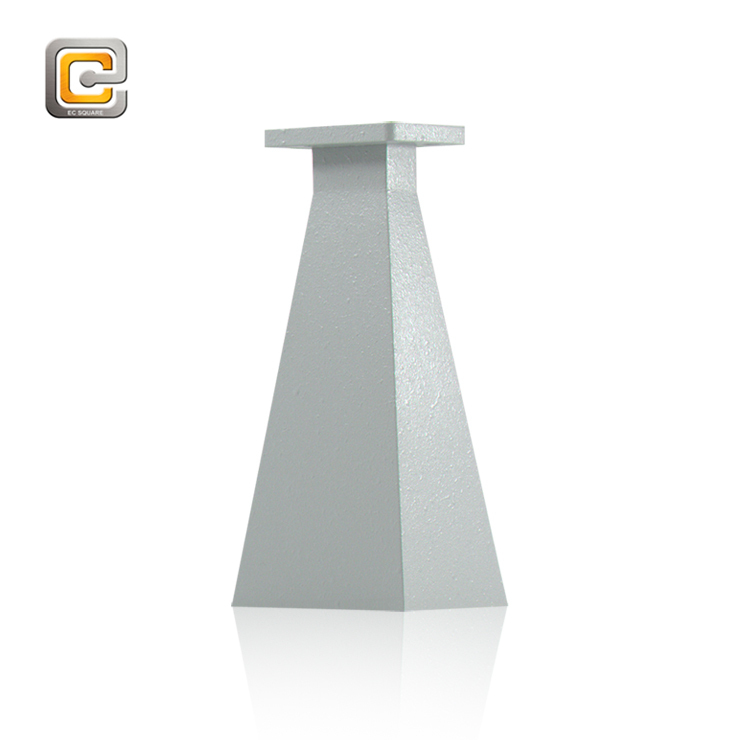 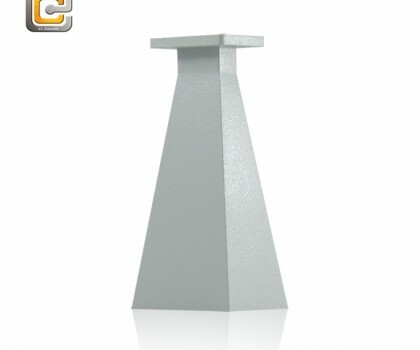 Standard gain horn waveguide antenna OLB-51-25 has a vertical beam width of 10.2 and horizontal of 10.5 degrees at 3 dB.